SIGNAL festival invited us to come to the festival in Prague which was on the 11th until the 14th of October, 2018. We are very grateful to have been invited and that they have taken such good care of us. SIGNAL is a relatively young festival but made a huge impact on the audiovisual culture since the very beginning. 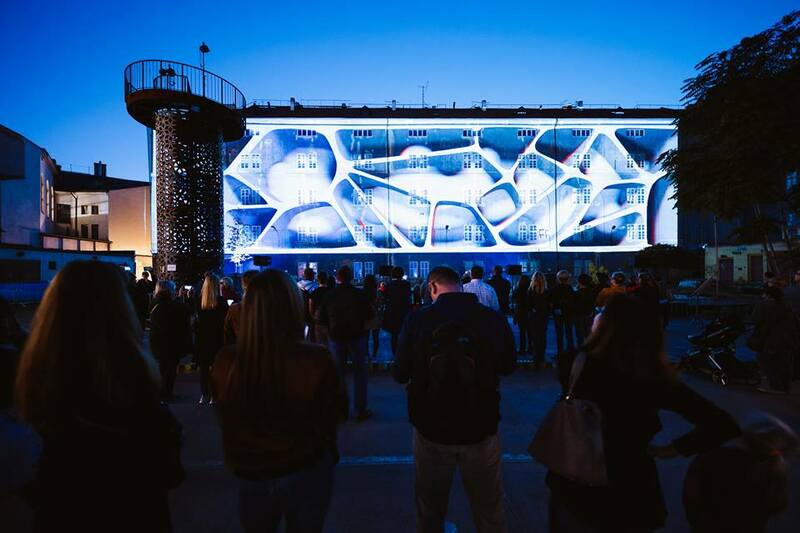 It has a great offer of video mapping, interactive installations, and generative art. The last edition attracted around 600.000 people. 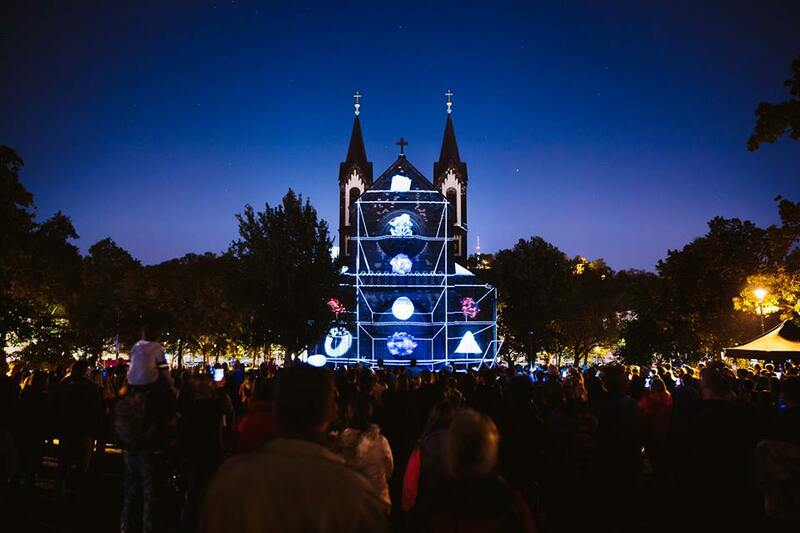 Every year, SIGNAL puts together an audiovisual journey across the beautiful backdrop that is the city of Prague. It gives the chance to locals and international visitors to really discover the city under a new light. This is what we saw during our visit. Rococo is a totem made of 124 projectors shooting light beams. As soon as viewers step in, they are bombarded by powerful audiovisual inputs transforming the beautiful ‘Colloredo-Mansfeld Palace’ in an ever-changing space. The surrounding soundtrack makes you progressively forget where you are, bringing you in a captivating trance as you stare at the beams. 3dsense offered an impressive projection with two synchronized screens. It showed a creatively put and well-thought-out black hole’s gravitational field in the universe. That mixed with an intense soundtrack displayed a complex unity that immerses you into the piece. A wonderful piece of interaction design, where the users had the chance to create their own lighting performance by the simple motion of their hands. Highly involving and easy to approach. It created an instant connection with the audience and the art. _STROY is a multi-creative studio based in the Czech Republic. 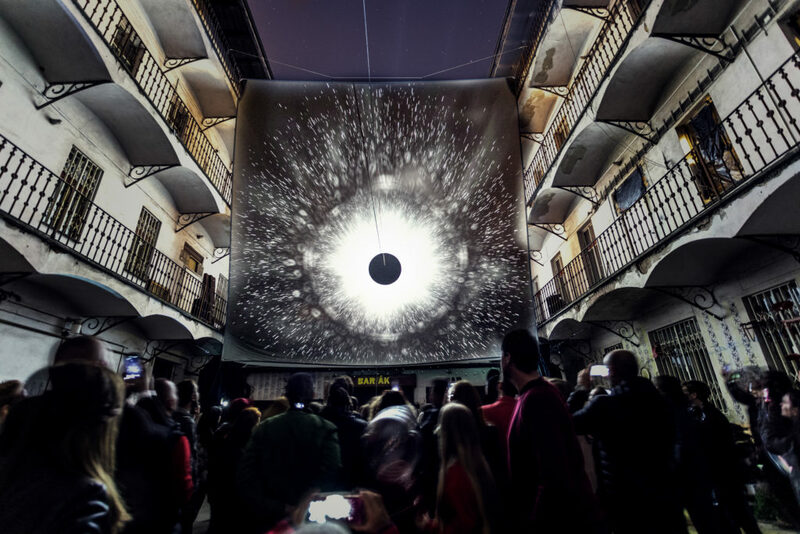 In their pioneering project, they combine graffiti with video mapping and sound art. 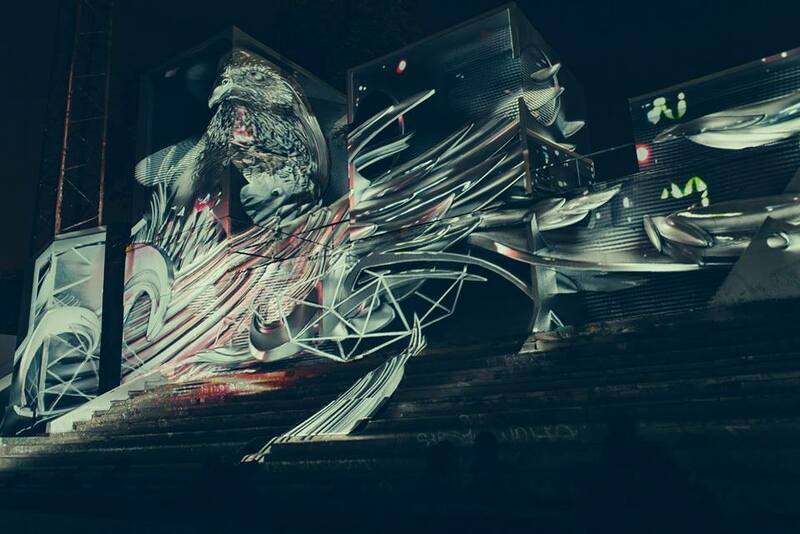 Aesthetically astounding and captivating, they’re taking video mapping to a whole new level. Quite new to the scene, the AV collective Hotaru Visual Guerrilla managed to capture the viewers’ senses from the first instant. An amazing 3D video mapping, dragging us in a future world where microorganism, bioforms, breathes and expands from the façade of the surrounding space. A must-see in the audiovisual culture. Hyperbinary proposed a very mature and cutting-edge video mapping made of pure lights. The building Kooperative has been animated from the inside instead of being projected on it using LED strips. A thoughtful investigation about how particles are set in motion and spread across the space creating energy. The result is a calm and monumental wave. 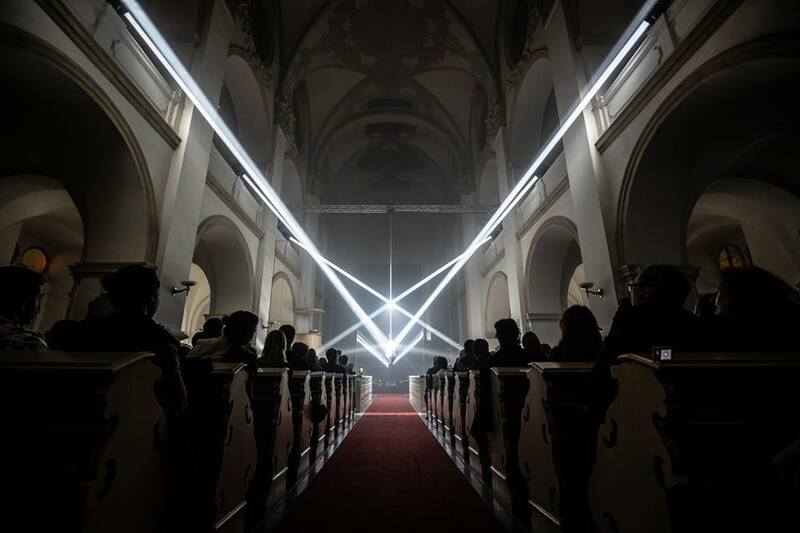 On the Church of St. Ludmila Ruestungsschmie.de delivered a video mapping masterpiece, empowered by a stunning sound design. Every single element of the façade comes alive under the audiovisual thunderstorm. Our senses are constantly tickled and moved restlessly following the projective narrative across the service. ‘Watch 2,1/18’ is an ambitious and innovative art piece picturing a dystopian future under constant surveillance. 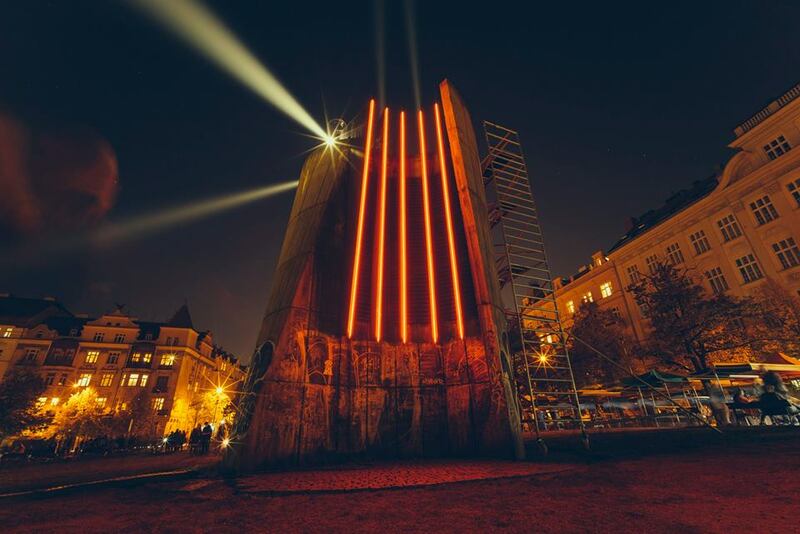 The immersive installation used moving lights across the Vinohrady square to track the viewers. Microphones recorded their sounds to eventually combine them with an eerie soundtrack. No matter where you moved, you were always watched. Simona and Matyáš are two students of ‘the Czech Technical University’. They created an LED interactive gateway connecting the train station to their university. Enjoyable and effective. We hope to see more from these young and upcoming artists. Organik triggers an intense dialogue between new media, art, music, and architecture, in the beautiful Salvator church. The gothic constructive elements are gradually revealed and enhanced by the moving lights, while the compelling music from the organ surrounds the viewers. Our senses are fully absorbed in this powerful audiovisual symphony. Future Ruins, a beautifully crafted video mapping dialoguing with the LED installations which decomposes the architectural elements of the Neo-Romanesque church of St. Cyril and Methodius. Ruins of a dystopian future lie upon us and come back to life through the use of lights and video mapping. An interactive installation with mirrors following the viewers, bouncing their reflection across the space together with the beautiful decorations of the ‘Mirror Chapel’. A buoyant interactive piece immediately connects with the audience of all ages and backgrounds. An interactive simulation that shows the sea life under a microscope. It’s a never-ending generative art project. An interesting representation of the natural elements using new media. A piece with stormy clouds made of foam, lights, and sounds. An overall high quality and several innovative art pieces, setting new trends and standards in audiovisual culture. Congratulations to the organizers and see you next year!